100 free High Back Office Chairs to be claimed | FreebieFinder UK | Freebies, Samples, & Other Free Stuff. Home accessories company Langria are giving 100 lucky people the chance to try out a super comfortable High-back Computer Gaming Chair for free. 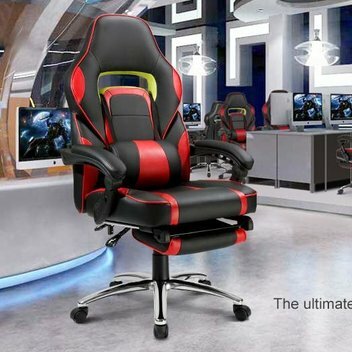 This Gaming chair features a curved high back with headrests to cradle your body softly and comfortably, offering you a relaxing sitting experience and helping get your work done more efficiently. Enter this giveaway on the Langria website to be among the 100 lucky people to take home a free chair.